DIRAC is a time stretching and pitch shifting technology that can be applied both musically monophonic and polyphonic signals with equal ease and success. DIRAC is a powerful tool for C/C++ developers that integrates seamlessly with all modern APIs and audio applications. It allows to change the speed and pitch of music independently without sacrificing quality. 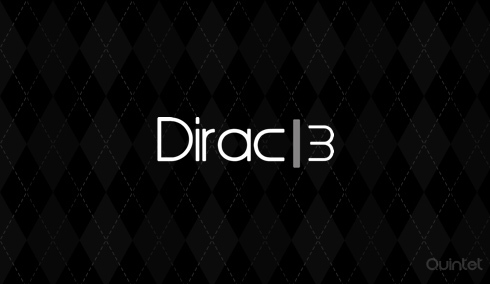 Dirac3 provides a straightforward API which makes it an ideal tool for any software project that requires time stretching and pitch shifting. When we change the pitch of a voice, its speed changes and vice versa. In a situation where the pitch and speed of voice need to be changed independently of each other, Dirac can be used . DiracFx API offers a momentary variation in time stretching and pitch shifting for polyphonic music at an unknown speed. DiracFx is also the world’s first time stretching algorithm that does the magic in digital signal processing (DSP) without using any trigonometric functions. This results in a dramatically increased performance over traditional fourier Transform based methods. In any pitch shifting technology, raising the pitch would proportionally increase CPU load. Dirac has a property to enable constant CPU load pitch shifting, that has an impact on the quality of the sound modified. Dirac3 offers improved processing speed, better support for mobile platforms and specialized processing modes. DiracRetune is a processing mode that complements Dirac’s pitch correction and can quantize and freeze pitch to the closest semitone. TranscribeMode is Dirac’s new content aware processing mode that allows extreme time stretching factors to slow down audio by as much as 400% without losing attack transients. It provides Dirac SDK for iOS to integrate Dirac functionality in iOS apps. Quintet can help you to change the speed and pitch of music without sacrificing quality. Dirac3 is being used by high end audio processing applications and has also custom built solutions in studios around the world. DIRAC3’s API integrates seamlessly with all modern API’s and audio applications. Our developer team has implemented Dirac3 in many of the our apps and therefore our team is very familiar with the library, functions/methods and modes it offer. This in-depth knowledge gained helps in the quick integration of Dirac3 into applications that demand the functionality. TestFlight is a free platform that allows you to distribute beta and internal iOS apps to team members over the air. Our experts are very well versed with Testflight and its services to assist you manage your app and its version easily. Share your beta app using TestFlight. Box is a file sharing service that uses cloud computing. It is a cloud content management service that can be used by any industry. At Quintet we have worked with Box Content API to upload, download and share files to box account. We can help you to integrate cloud into your systems. Cocos2d is a leading free open source game engine for developing 2D games, apps and other cross platform GUI based interactive programs. Our team at Quintet spends their quality time to create the perfect animation and effects for the best user experience.